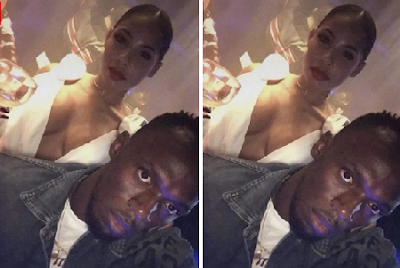 Nothing makes a busted hamstring feel better than champagne and shots, just ask Usain Bolt, who hit the club HARD Monday night with his insanely attractive girlfriend. The Jamaican superstar hit up the famous Cirque le Soir nightclub in London with his girlfriend, Kasi Bennett, where everyone in his crew was pounding bottles of bubbly. Now that his racing career is over, Bolt felt free to take some smoke to the chest and blew it out in the middle of the club not caring who was watching. Anyway, if anyone deserves the right to party his face off, it's Bolt - who just wrapped up the greatest track career ever. We just wanted him to finish strong, but then, oh well!